March 7, 2017 11:45 am / 3 Comments on An Arts and Crafts Window by Clayton & Bell? 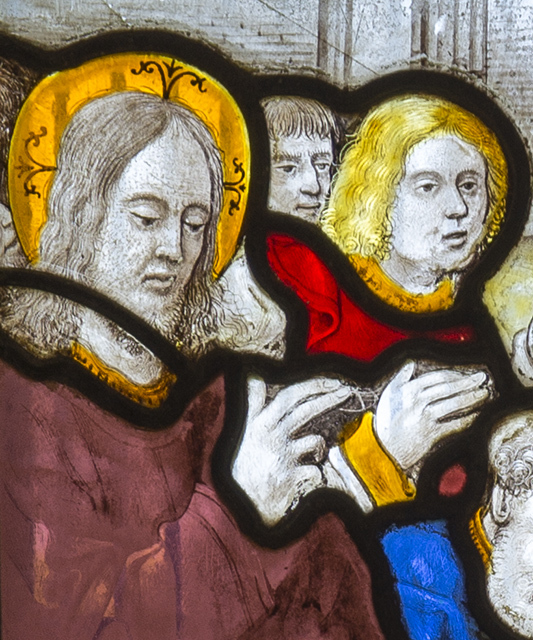 About two and half years ago I revisited the Church of St Gwenllwyfo, Llanwenllwyfo, in northern Anglesey, and began a conversation that has resulted in a new book on the sixteenth- and seventeenth-century Continental stained glass at the church. 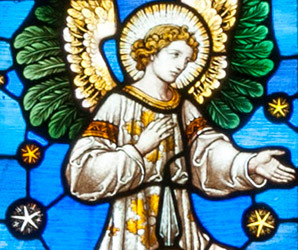 When I first attempted to write about the stained glass on the online ‘Stained Glass in Wales’ catalogue, I turned to the notes written by J.O. Hughes that were produced as a small unillustrated booklet in 1995. 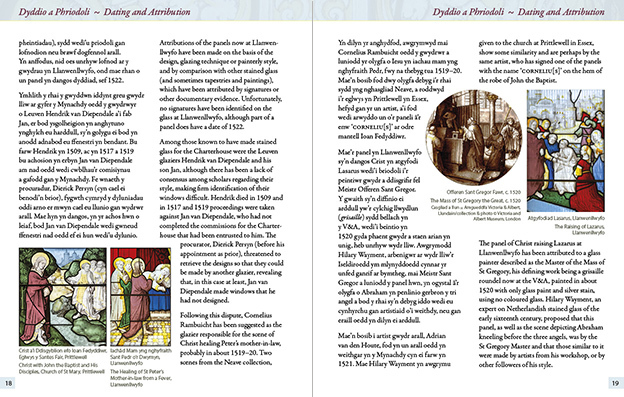 The booklet left a lot of unanswered questions as it did not list any sources, but, when writing Stained Glass from Welsh Churches in 2013–14, I was able to find further writing about the stained glass of the period in scholarly articles and catalogues which alluded to the dating, provenance and attribution of the panels at Llanwenllwyfo. Some of this writing confirmed what J.O. 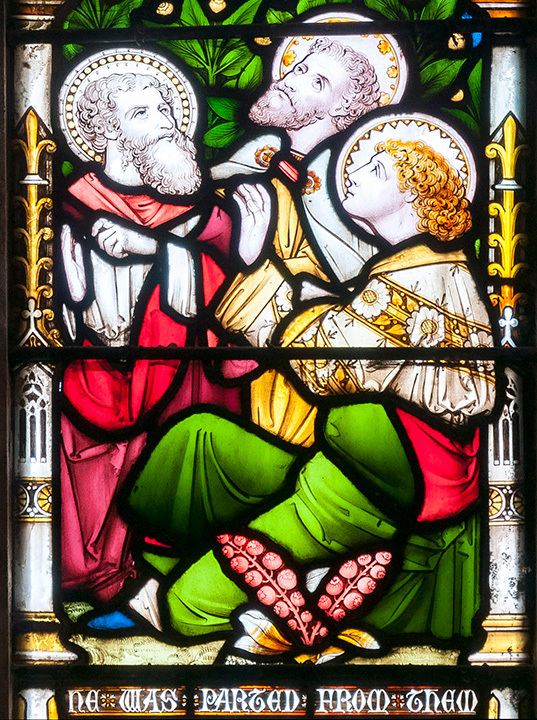 Hughes had written about much of the earlier sixteenth-century glass, which was thought to have originated at the Leuven Charterhouse, and the important article by Yvette Vanden Bemden and Jill Kerr identified a number of them among the ‘Anglesea Group’, which also encompassed similar panels elsewhere. Some writers went further, and Hilary Wayment attributed couple of the panels to the Master of the Mass of St Gregory, the painter of a roundel of that name now at the V&A, or to his workshop. 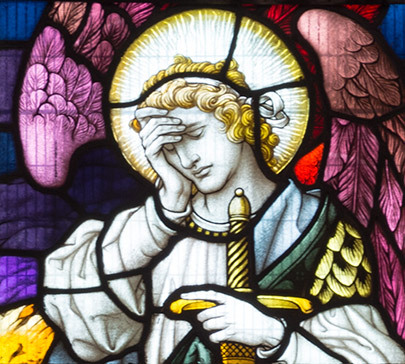 Although I admit that I found some of the arguments confusing, in the absence of any writing that I could find at the time to contradict this attribution, I broadly adopted Wayment’s attributions in Stained Glass from Welsh Churches. 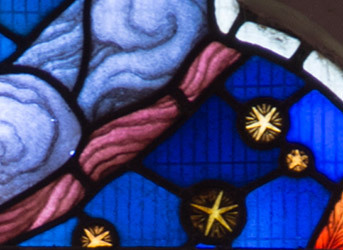 I also used his attributions in an article on the stained glass for Vidimus, published early in 2014, hoping that I might receive some feedback from scholars more versed in the stained glass of the Low Countries on the validity of these attributions. Around the time that I visited Llanwenllwyfo again in 2014, a small bequest from the family had been set aside to publish the research of J.O. and Catherine Hughes as a small book, and I was very pleased to be asked to design and produce the book. 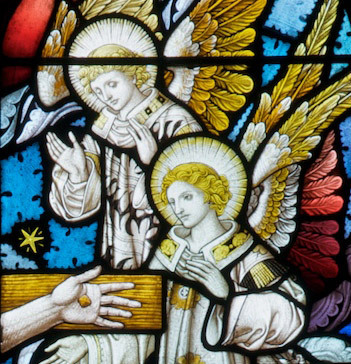 This consisted of an introduction about the gentry families involved in the building of the church and the acquisition of the stained glass, and then descriptions of each of the main panels. I also took the opportunity to look more closely at each of the panels and collate the writing on them in other sources. It was during this process that the attribution to the St Gregory Master appeared to me to be increasingly doubtful, mainly because the similarities between a group of the panels, here and elsewhere, seemed to be greater with each other than to those attributed to the St Gregory Master. I was also struck by their similarity to panels that had recently been associated with Jan Rombouts by Yvette Bruijnen. 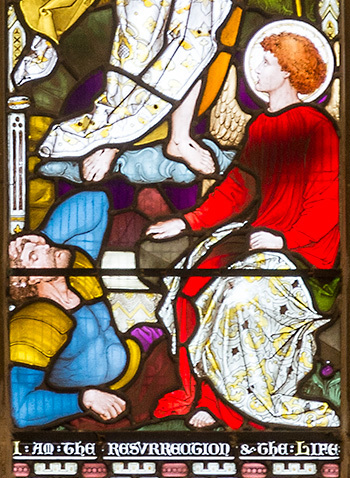 These panels were also from the collection of Sir Thomas Neave, but now at the Metropolitan Museum of Art and at Prittlewell, Essex. Some of these conclusions will be published shortly in a feature for the online journal Vidimus, and are alluded to in a short contribution that I have written for the new book. That it has been such a long time since Avril Lloyd at the church first discussed the draft of the text that she had prepared from the notes of J.O. and Catherine Hughes about two years ago is down to a variety of reasons. These included other commitments on my part, the time taken for the texts to be translated and checked and finally securing the funding to print the book as intended. The book is now available this autumn on my Sulien Books website for £10 + postage, and from the church.